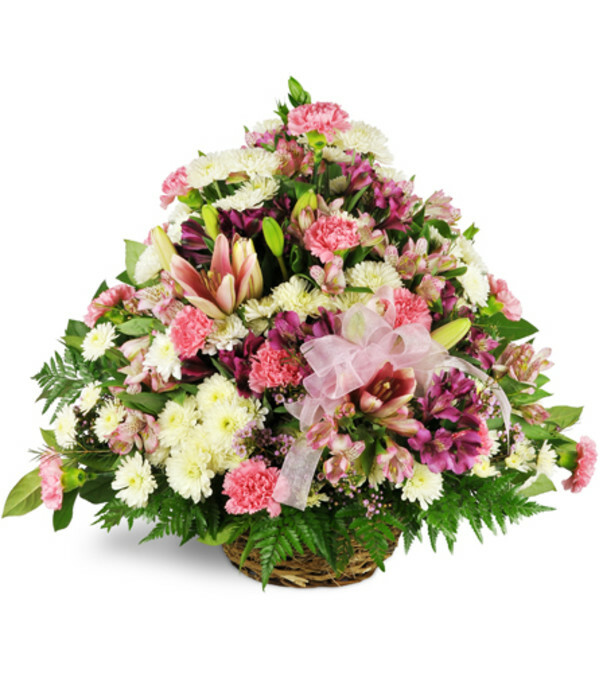 Convey your heartfelt condolences to friends and family with this lush sympathy basket. Soothing pinks, purples, yellows and whites spring from a rustic wicker basket in the form of mums, alstroemeria and mini carnations. This sweet sympathy gift is appropriate for remembering men or women of all ages and includes tasteful seasonal greenery and ribbon bow. This funerary arrangement features a round brown wicker basket, mums, alstroemeria, and pink mini carnations arranged with greenery in a lush semi-conical shape. Includes ribbon bow accent. My sons 1st Prom, Brookdale delivered a beautiful corsage and boutonniere that matched his dates dress perfectly. The added rhinestone bracelet looked elegant, she definetly had the prettiest corsage! 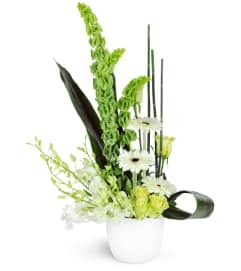 Brookdale Flowers & Gifts is a Lovingly Florist in Statesville. Buying local matters. Discover how Lovingly supports local florists. 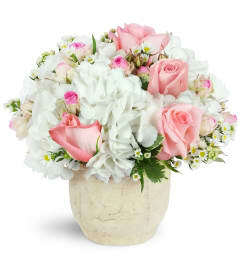 Copyrighted images herein are used with permission by Brookdale Flowers & Gifts.